For starters, one of the things that I like about it is that it has this neat design to it. It’s one of those apps where it feels like it was truly made for the Apple TV. 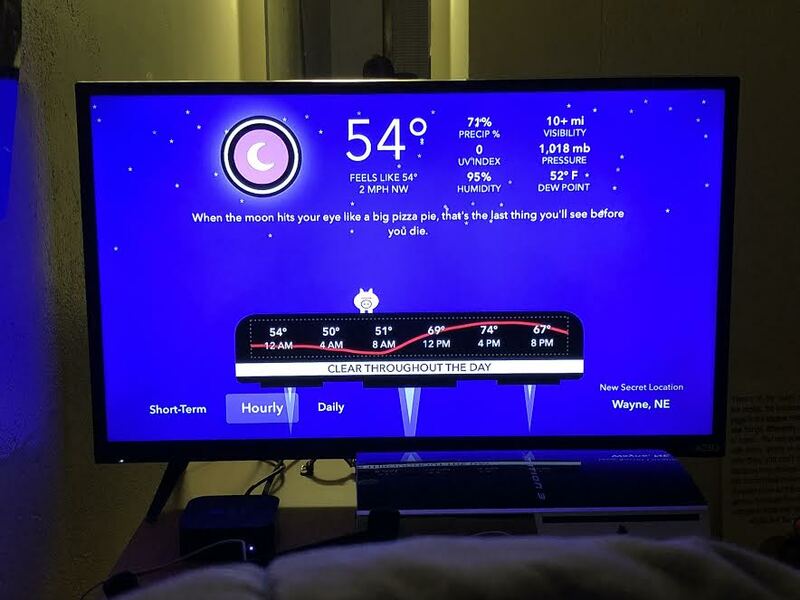 I also just like the simplicity of being able to check the local weather on my TV. Some people still go to The Weather Channel, AccuWeather and other local media outlets. However, that means you have to wait until it gets to your specific area. And honestly, nowadays, who really has time for that? Sure, you could ask Siri, but then you would not get the hilarious humor of CARROT Weather. It’s my second favorite feature on the Apple TV app. Although it is not as good as the iOS version, it’s still pretty funny. What I do not like about the app is that there is no radar, which kills me to write that since if it did, it might make it the best weather app in the tvOS App Store. I’m hoping that the developers of the app put a radar in there eventually, but for now, it really does take the app a step back. I would also love for the app to offer some sort of notifications, but that cannot be helped until Apple allows for tvOS and Apple TVs to be able to send notifications to their Apple TV users. Overall, despite the fact that the app does not have a radar, I am still giving it 3/4 stars since it is updated regularly and that for what it does and what I need it to do, it’s a pretty good app. 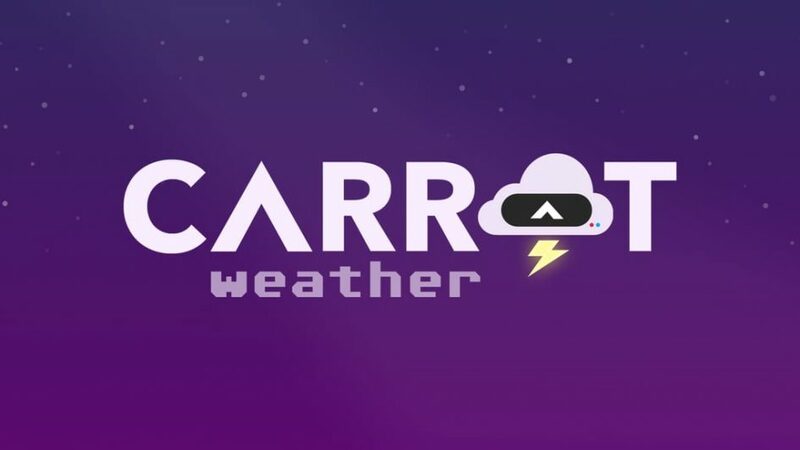 CARROT Weather is currently $3.99 to purchase in the tvOS App Store.